Again a hard task from the Everyday life site :) "My favorite snack". I usually do not think about any one kind of snack as my favorite. 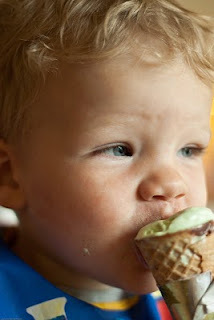 But since summer hasn't left us completely, I'll have to announce ice-cream as one of my favorites.